The Egg Has Hatched & The Red Raptor Has Spread Its Wings For Take Off! 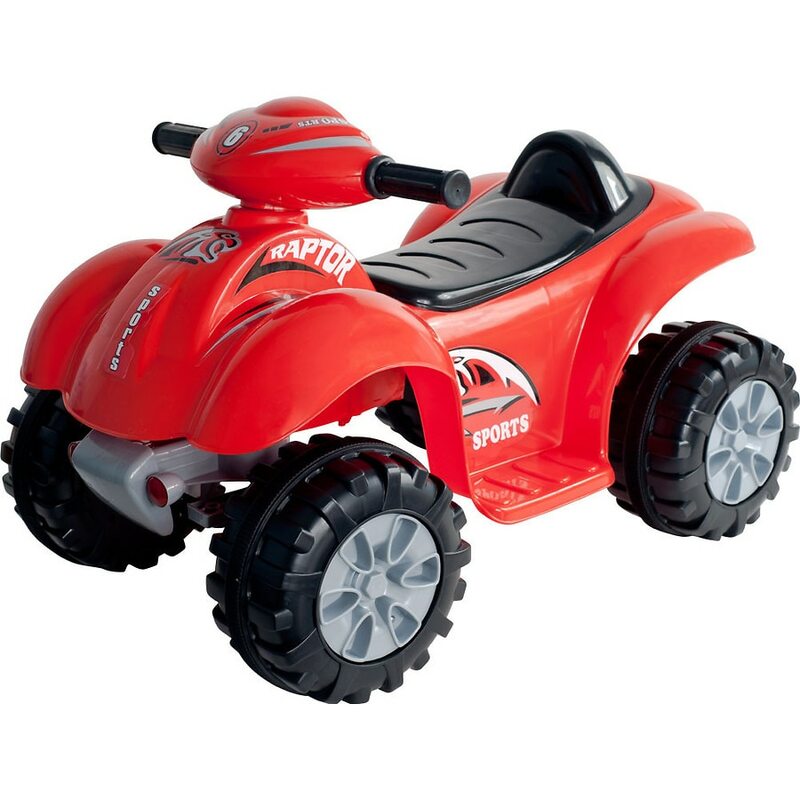 Dimensions: 26.375" x 17" x 17.75"
To moms of 2-4 year olds, Lil' Rider™ Battery Powered Red Raptor 4 Wheeler lets kids soar into new adventure and role play of riding their Red Raptor ATV. This is a toy that your kid will not stop talking about. You will be the leader of the flock on the block with one of the coolest ATVs ever made.